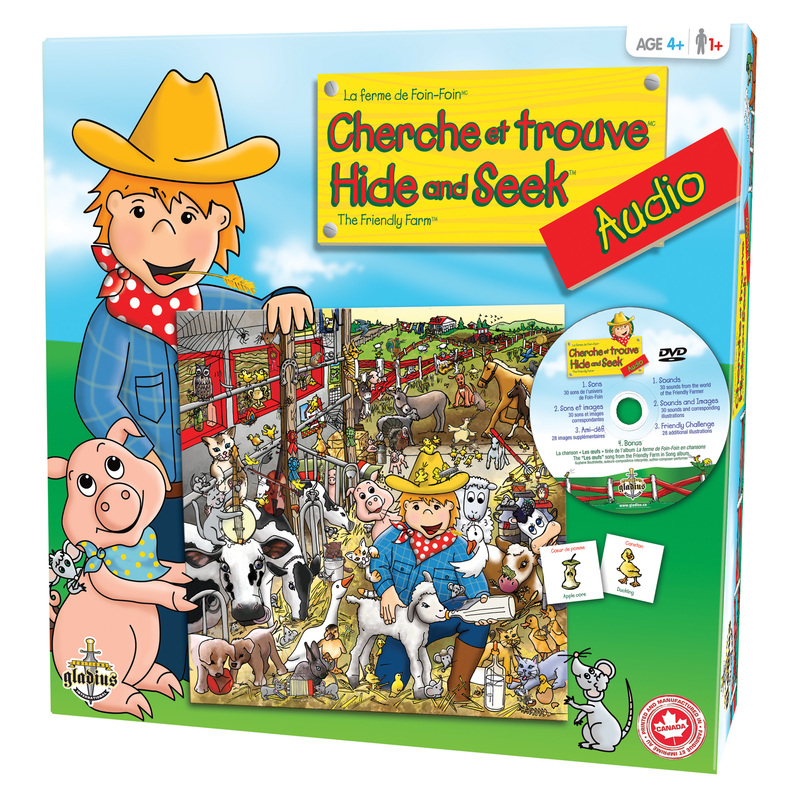 This Hide and Seek Audio game excites the senses in a stimulating game of discovery. Will you succeed at finding the illustrations hidden in the game boards and identifying sounds at the farm? The player who finds the most wins!